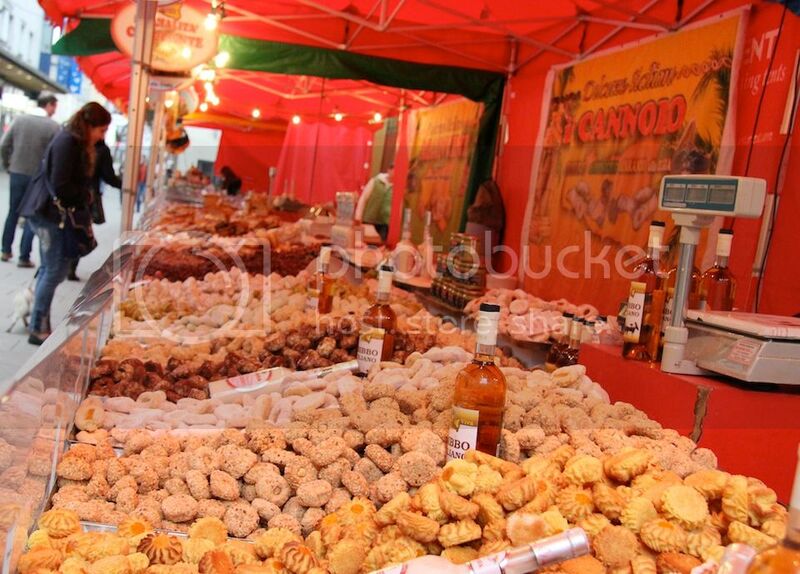 This week, there is an Italian market in Linz. At first, I found it pretty annoying... I have to get to my class in time, and these tents are in my way. And everyone walks really slowly, to check what they are selling. But tonight, as I was craving pizza, I started to like these tents... and their delicious pistachio cookies! Lemon was pretty excited too as she scored some crumbs from the floor! Lemon is so big already! 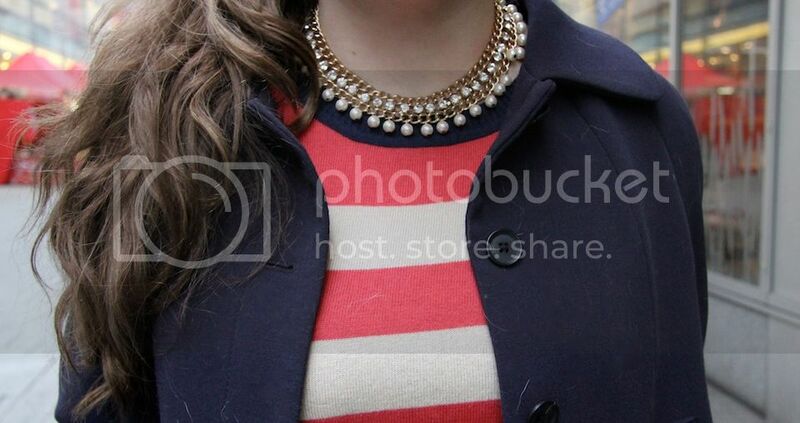 Absolutely adore your necklace and the red stripes! Me gusta mucho el color de la camisa y como luce con los jeans. El collar es un sueño!! Lovely necklace and striped top. All the cookies look great! 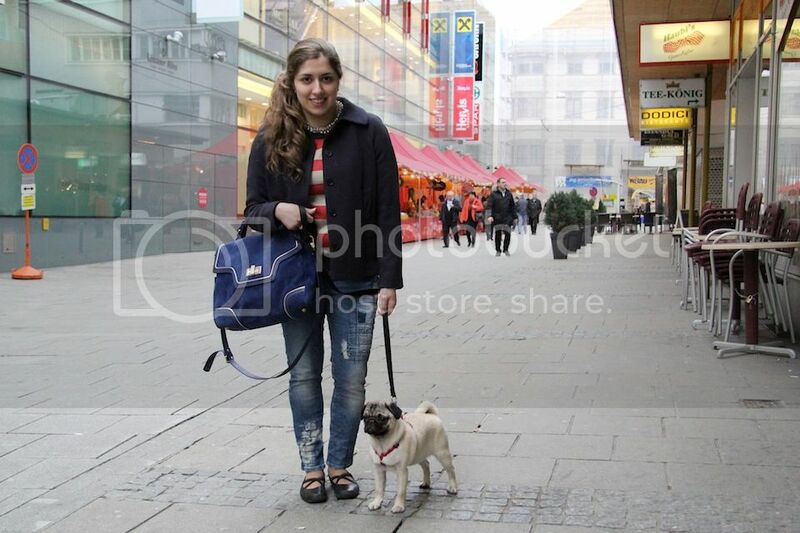 I really like the styling of your cute striped sweater with the lovely blue bag, so chic! Those Italian cookies look so delicious. I would buy some. Lemon is so cute. I just love pugs. What an incredible Italian market, looks like so much excitement! I love your street chic outfit! The stripes are so beautiful! 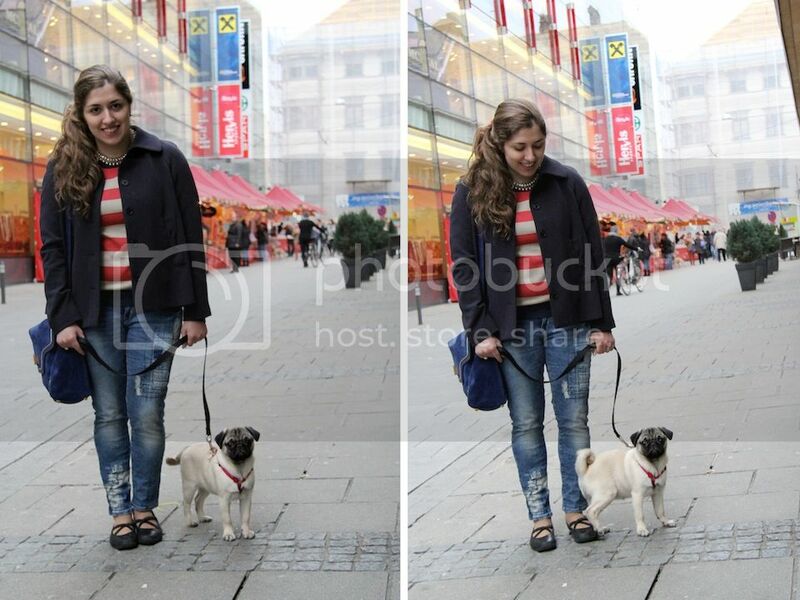 nice photos:) Limun is as adorable as always:) and you look great. I love that tee with stripes. pretty look and funny pictures! you dog is a cutie ! I also have a blog in Monte Carlo, France. I followed/liked ALL of you social media sites! Maybe you could follow and like mine if you want! AWWW LEMON IS SO ADORABLE SQUEEE! And I love love love your bag with that striped shirt! Sounds like fun, glad to see you finally enjoyed it, and Lemon did too! I really love the bag you had there! !